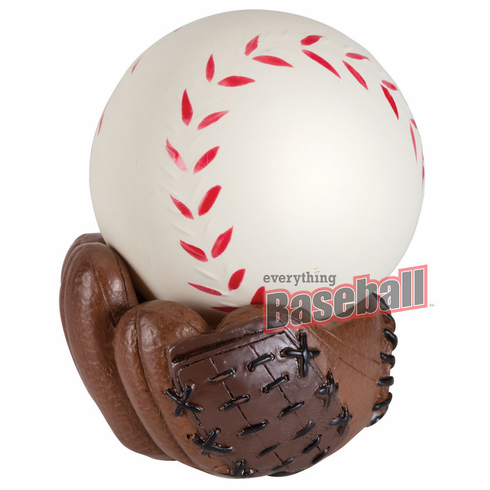 Stress Reliever Baseball with Resin Mitt Stand. Soft, rubbery material gives just the right resistance for a satisfying squeeze. Strengthens hand muscles while relieving tension and stress! Keep a few at home, at the office, or just about anywhere! Baseball measures appx. 2.5" in diameter. The baseball in the stand measures appx. 3.25" tall.